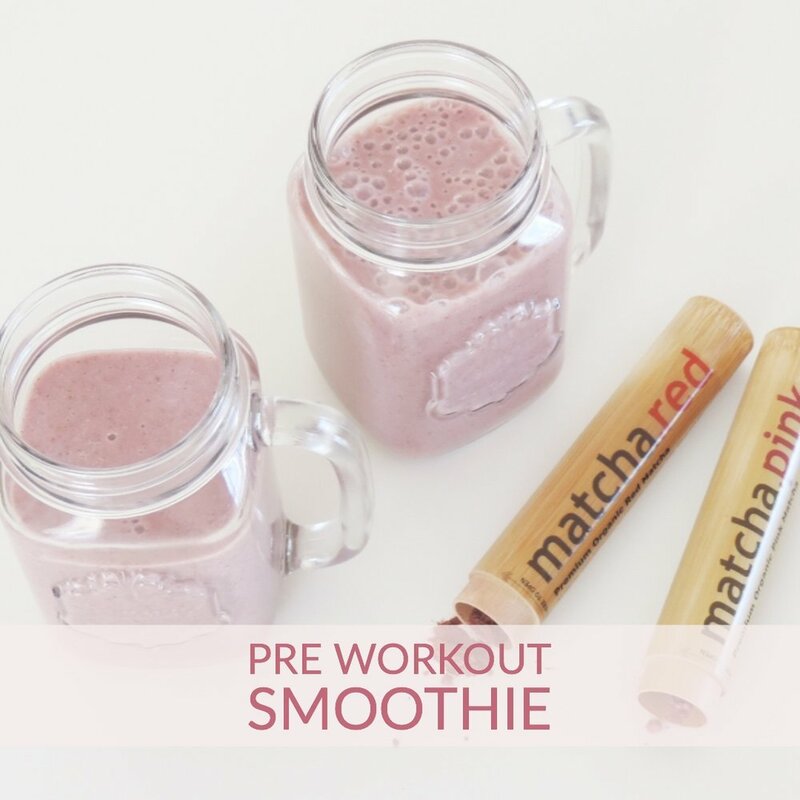 This smoothie is sweet and can keep my energy high and my tummy satiated during workout. Best eaten about two hours before workout. Also splendid as an afternoon snack! The pink matcha is micro-powdered rose blossoms, and the red matcha is hibiscus flowers. These flower powders deliver numerous health benefits and a wonderful taste. 1 tbsp. fresh lemon juice.